A mysterious E3 2016 absence explained. Turns out the Crackdown team elected not to produce a trailer or a gameplay demo, instead modestly settling on a quick announcement that Crackdown 3 will be a Play Anywhere Title for Windows 10 and Xbox One when it releases. In, uh … 2017. 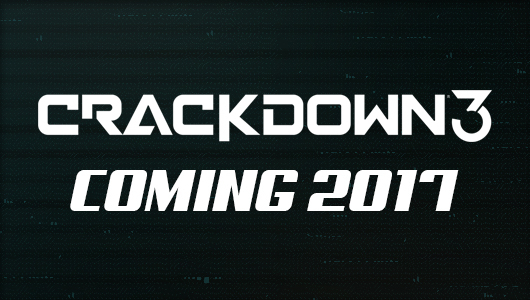 “Crackdown 3 is a game built for the future with a multiplayer experience that will redefine what it feels like to play games, and as we continue to work on this, it has become clear that our original timeline of delivering multiplayer to fans this summer, while maintaining the size, scope and quality of the game, would be challenging,” Reagent wrote. “Our top priority is to give gamers an experience they have never seen before at a scale never thought possible, and sticking to our original timeline would have compromised that goal. Welp. As you may recall one of the big exciting things about Crackdown 3 is that it would use the power of the cloud (insert your own sparkly sound effects here) to enable large-scale destruction. That sort of thing across multiplayer instances is probably an absolute nightmare, so let’s leave it in the oven until it can manage a decent frame rate, shall we? Other Play Anywhere titles include Gears of War 4, Recore, State of Decay 2, Forza Horizon 3 and Scalebound.